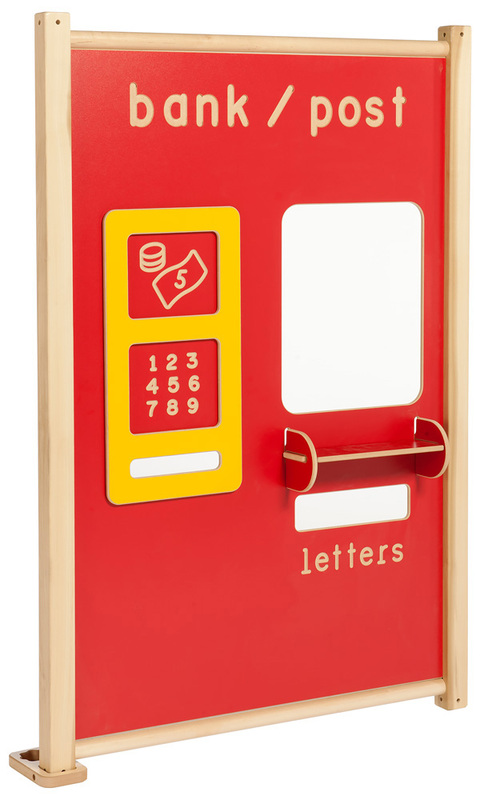 The lifestyle play panel set features the double door, garage and bank/post office panels. 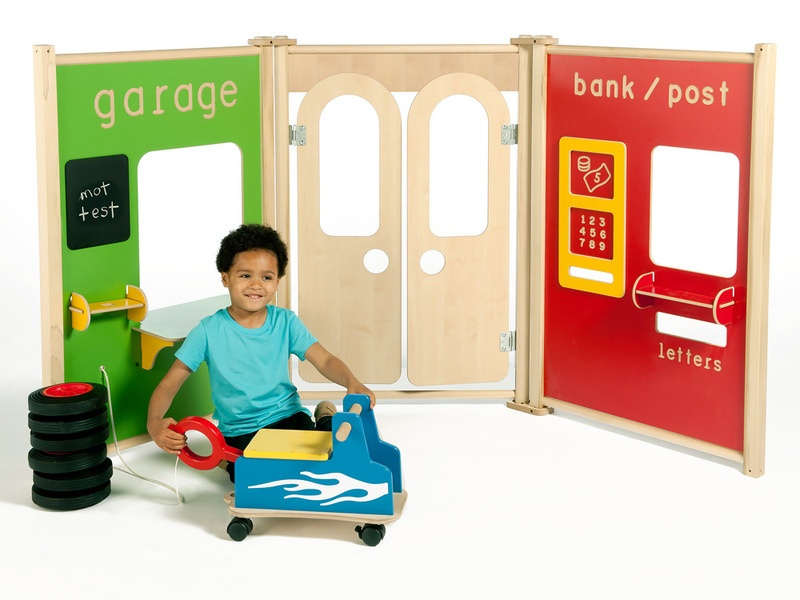 This set is ideal for classroom small world role play areas in schools or nurseries and allows children to work and play together in groups. Panels are connected with an innovative modular linking system that allows panels to be linked securely at various angles. 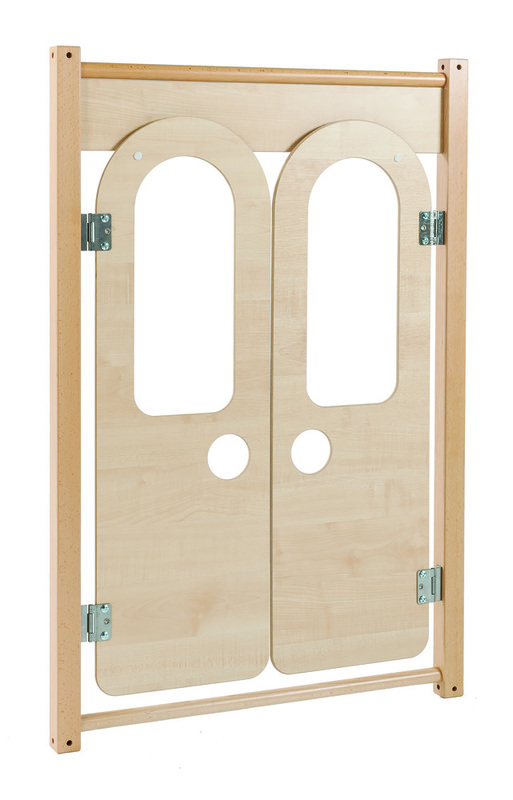 Each panel is manufactured using solid wood for maximum durability and longevity. For stability purposes a minimum of two panels should be linked together at the top and bottom during play. Panels can be interchanged or added to with any role play panels in our range to create configurations to suit your needs. 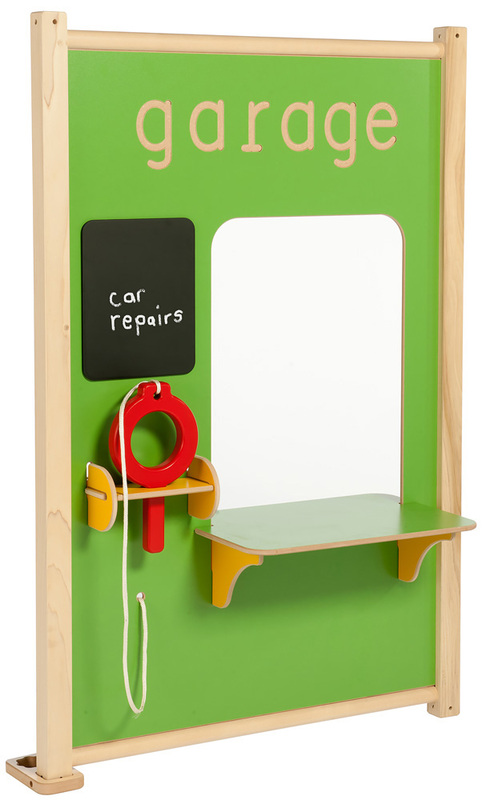 Please note: toys and play equipment featured in the product images are not included with the lifestyle play panel set. Please Contact Us or alternatively call for more details on 01733 511121.